Fly through space in this classic Magic Kingdom roller coaster. Space Mountain has delighted passengers for over 35 years. 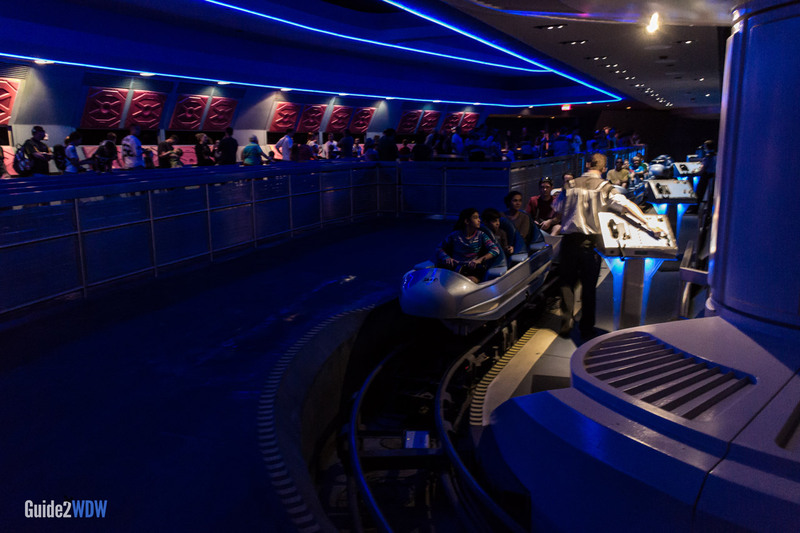 Comprised of two mirroring coaster tracks, Space Mountain’s defining feature is that takes place in the dark. The track itself is mild by modern coaster standards: biggest drop of 26 feet, top speed of 27 mph. However, everything is enhanced by the fact that you are in the dark. You don’t know where the next twist, turn, or drop is going to occur, and the ride actually feels faster in the dark. While not as big a thrill as Rock ‘n’ Roller Coaster, this is a tried and true classic Disney World attraction. Recent renovations have brought interactive games to the queue, new sound and visual effects, and even less light leakage in the ride itself. Space Mountain is a definite must ride. This is a very popular ride. 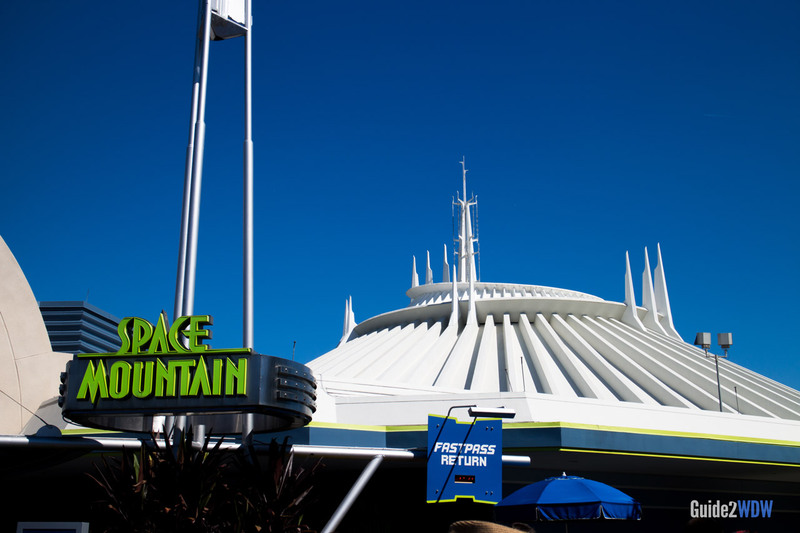 If Space Mountain is on your agenda, be sure to book your Fastpass+ in advance. Guests sit one by one toboggan style. If you are tall or have long legs, request the front seat, which has more leg room. Disney World’s Space Mountain was the first Space Mountain built out of all the Disney Parks. There is a version of this ride in every Magic Kingdom-style around the world. Want a new perspective of Space Mountain? Go on the People Mover, which goes through Space Mountain. Riders will get a unique vantage point of Space Mountain’s first lift. While it is rare to ever see Space Mountain with the lights on, it is sometimes possible if Space Mountain is down for repair and People Mover is running. This happened to me once while I was riding the People Mover, and it is fascinating to see. Be warned: Some people consider seeing Space Mountain with the lights on to “spoil the magic.” If you’re sensitive to something like that, avoid the People Mover when Space Mountain is down. 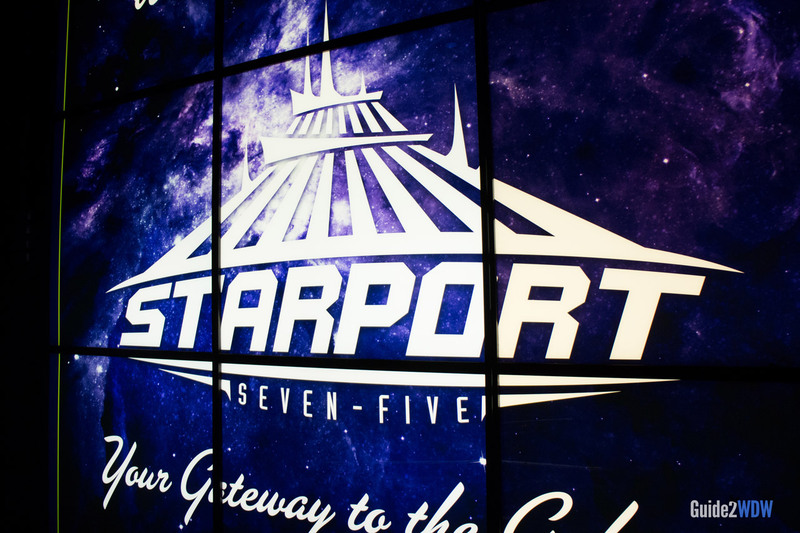 As you enter the building, you’ll see a lot of Starport signage and interactive games throughout the line. Seating on Space Mountain is one by one, toboggan style.